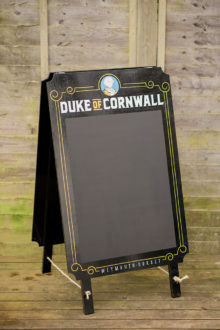 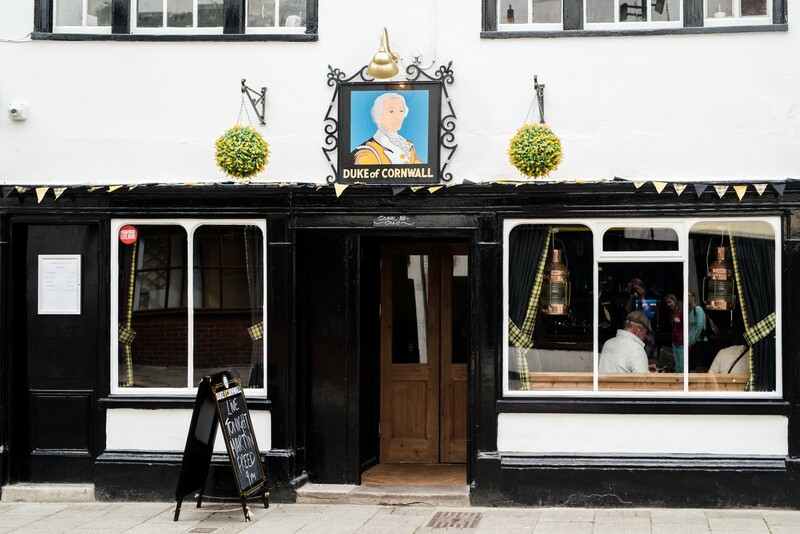 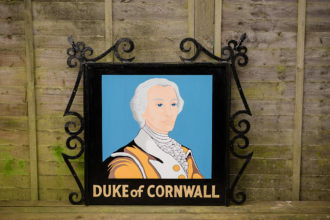 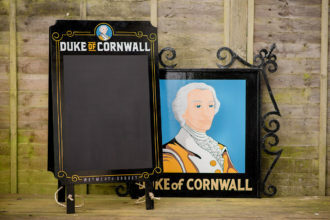 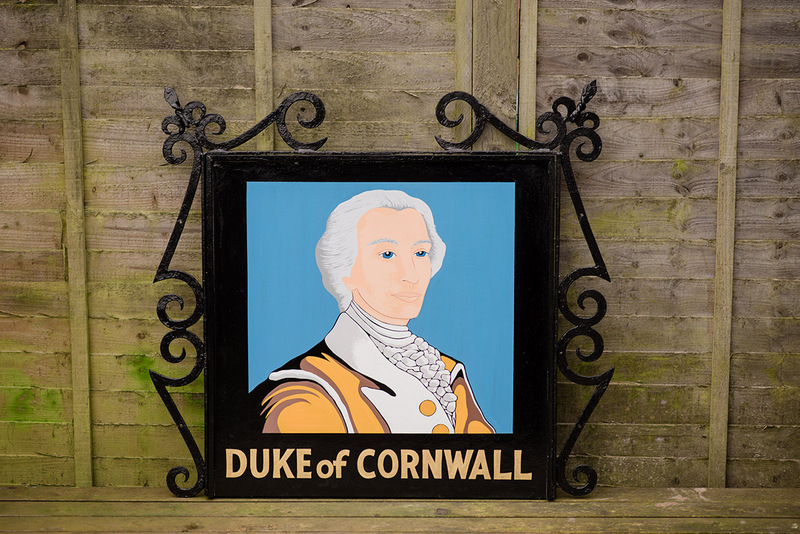 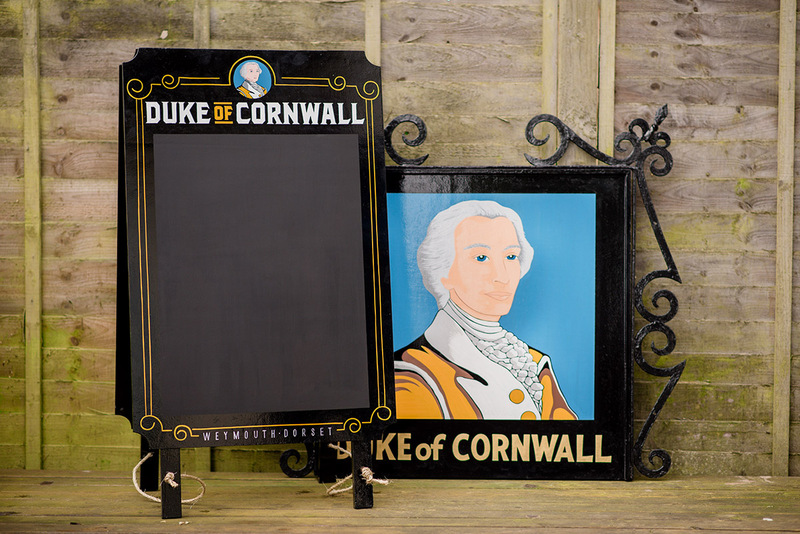 This was a sign restoration for the Duke of Cornwall pub in Weymouth, I also built and painted a wooden a-board. 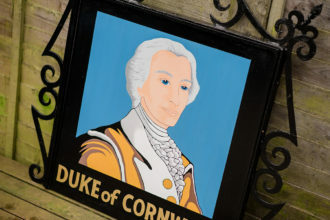 I’m unsure of the age of the old pub sign but it was looking well worn and faded, the owners wanted to give the Duke a makeover, I traced him and repainted the whole sign, adding some gold leaf to the name. It was nice to paint a Weymouth pub sign, the area has lots of old pubs with interesting histories, frequented by many sailors, travellers and holiday makers over the years.